Cindy has worked in the Marketing department at Ideal CU since 1995 and currently sits on the Board of Directors of the Ideal CU Community Foundation. She worked as a broadcast and print journalist prior to pursuing a career in public relations and marketing. Cindy has a passion for wine, painting, political advocacy and the Denver Broncos. She enjoys blogging about wine and visiting local wineries, power walking and watching Netflix. Cindy is a member of the Minnesota Grape Growers Association (MGGA), the Southern MN Wine Grower Alliance (SMWGA) and is a strong advocate for cold climate wines produced in Minnesota and the upper midwest. She holds a Wine & Spirits Eduation Trust (WSET) Level 1 Certification in Wines and is a certified server. (Woodbury, MN – April 17, 2019) – Ideal Credit Union has been named “Best Credit Union in the East Metro” for the third consecutive year by readers of the Stillwater Gazette newspaper. Ideal became the first credit union to operate in the community in its 165 years of existence when its Stillwater branch opened for business in December of 2016. Ideal has had a strong presence in the east metro for 93 years. Spring is a prime time for whipping your finances into shape. So, let’s get cleaning! Spring is here! Time to roll up your sleeves and whip your home into shape. Use these cleaning hacks to help banish those dust bunnies without spending a fortune on cleaning solutions and organizers. (Woodbury, MN – March 15, 2019) Rick Blood has joined Ideal Credit Union as Chief Lending Officer (CLO). Blood has over 26 years of experience in the financial services industry. Prior to joining Ideal, he worked as Chief Operations Officer (COO) for Firefly Credit Union. In his new position Blood will be responsible for the growth, quality and compliance of Ideal’s loan portfolio. He will be leading all lending activities within the credit union, including consumer and indirect loans, mortgage and real estate loans, business loan financing, and all member lending needs. The CLO will report directly to the President/CEO as a key member of the senior leadership. It’s easier than ever to buy stuff you can’t pay for right away while supporting a lifestyle you can’t really afford. Let’s take a look at seven red flags that might mean you’re living beyond your means and the steps you can take to get back on track. (Woodbury, MN – March 7, 2019) Ideal Credit Union will host a no-cost workshop on Starting Your Own Business on Tuesday, March 26, 2019 from 6:00-7:00 p.m. at the credit union’s Woodbury office, 8499 Tamarack Road. Join Ideal’s Business Relationship Specialist Josh Anderson and guest speaker Tyler Hilsabeck from the Washington County “Open to Business” program to learn the basics of starting your own business. Topics will include deciding whether starting a business is the right next step for you, important considerations when starting your own business, taking your first steps toward entrepreneurship, a checklist for opening a new business, financial management for your small business and more. Open to Business is a free program of the Metropolitan Consortium of Community Developers. (Woodbury, MN – February 20, 2019) Ideal Credit Union has announced the promotion of Shari Rilley to Vice President of Reporting and Risk. Rilley initially joined the Ideal team in 1990 and left in 1995 to pursue another opportunity. 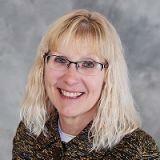 She returned to the credit union in 2003 and has over 21 years of experience in the financial services industry. Prior to her promotion she served as Director of Data Intelligence and Risk. In her new position, Rilley will lead the credit union’s efforts in regards to credit union reporting (both branch and financial reporting), support and management of the credit union’s data warehouse, and support and management of various credit union risk management functions. (Woodbury, MN – February 15, 2019) – Ideal Credit Union’s popular “Ideal Wheels” photo contest is back for another prime car buying season. This contest is open to members who own a vehicle that is presently financed, or has been financed in the past, with Ideal CU. A total of three winners will be chosen at random to receive a $50 gas card during the promotion period, which runs from February 15 to May 15, 2019. Here we go again! After a relatively tame December and January, winter came roaring back with a vengeance in February, making for long commutes, slippery roads, driveways and sidewalks, and cancellations across the state. It's February – Still Working on those Resolutions? It's February. Are you still working on those New Year's resolutions you were so determined to keep? If you're like most people, you have already given up on trying to exercise more or eat better. I see so many of my family and friends set themselves up to fail by making unrealistic and unattainable resolutions. Then sure enough, come February 1, they have given up. No one likes to fail - it's hard on the spirit and ego. All locations open until 1:00 p.m. Lobby - 9:00 a.m. to 1:00 p.m.
Drive-thru - 9:00 a.m. to 1:00 p.m. Lobby - 9:00 a.m. to 5:00 p.m.
Drive-thru - 9:00 a.m. to 5:30 p.m.